In highly technical settings, engineer-to-engineer partnerships are often a primary source of design innovation. Recognizing this significance, KNF has seen an evolution from the traditional “sales call,” to a consultative, performance and value driven process. This approach assists OEM design engineers by defining application performance needs and minimizing the trade-offs often required as a project moves down the development timeline. Communication during the early stages of OEM manufacturer product design cycles offers the best opportunity to develop a solution optimized specifically to the needs of the application. These early conversations often result in recommendations allowing the OEM design engineer to choose a pump—along with other instrument components—to better meet the overall goals of the system. For example, discussions may reveal the desired pump performance can be achieved with lower power requirements than initially assumed. This knowledge can influence other component needs, often enabling the OEM designer to reduce instrument size, weight, and audible or electric noise. Pump modifications incorporated to decrease power consumption can also lead to increased life of the pump and the entire fluidic system. Discovering this lower power requirement early on in the design phase allows adjustments to be made while there is still time for changes to the overall design. If this same conversation occurred further along in the design process, it could be too late for such adjustments – even though doing so would improve the overall product performance. risk, while the costly rework, or dreaded “start from scratch” scenario is virtually eliminated. fluidic engineering support, thus freeing customer OEM design engineers to focus on the big picture of throughput optimization, monitoring and detection, power delivery, or whatever your particular application and customer base demands. So we’ve consulted on your needs. Now what? Over 80 percent of all KNF pumps sold are “Project” pumps, i.e., optimized and purpose-built for a particular application for a particular customer. Your project starts our project to develop your pump for your needs. Sounds simple, and it is, but KNF has put in place many procedures, best practices, and lots of prototyping, testing, and manufacturing capabilities over the years to ensure it actually works simply and effectively. 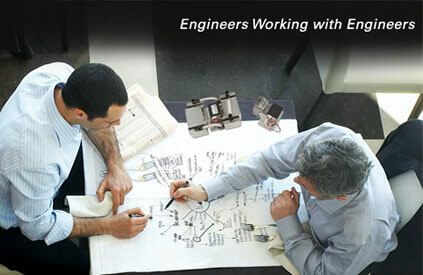 expertise to help bring the vision of OEM design engineers to life. This entry was posted in OEM Pumps and tagged custom manufactured pumps, diaphragm pumps. Bookmark the permalink.